The subject of engagement in workplaces has started to be seen and talked about more and more, by big and small companies alike, yet implementation is still a grey area. When confronted with understanding engagement, what drives it, how it can be nurtured and what initiatives can be designed to measure and improve it, companies rarely know where to start. Employee engagement drivers are a great starting point for that, we believe. Learning what motivates people, what drives their actions and how this translates into productivity, performance and loyalty to the company, is the first step in acting towards employee engagement, rather than just talking about it. Over the years, these drivers have changed and shifted positions, reflecting economical conditions, generational changes and overall workplace trends. The leaders of this organization are committed to making it a great place to work. I trust the leaders of this organization to set the right course. Deloitte research also shows that more than six in 10 employees (62%) who plan to stay with their current employees reported high levels of trust in their corporate leadership, while only 27% of employees who plan to leave express that same trust. Moreover, 26% of those who plan to leave their jobs in the next year cited lack of trust in leadership as key factor. The most engaged organizations ranked feeling valued, trust in senior leaders and retention the most favorably – Quantum Workplace. While CEOs and other senior leadership set the vision and strategy for the company, which can be a decisive engagement driver, the reality is that in most companies middle managers have an even bigger influence on engagement than even senior executives. That’s because managers are the direct link between the C-suite and the rest of the organization, as shown in this definitive guide to employee engagement by SnackNation. Because management has such an essential role in employee retention, it should be leveraged in HR strategies to attract and retain talent. If a company publicly states that its no. 1 priority is talent or people, it should own up to it. Employees are engaged when they feel valued. When their efforts are recognized and when they are encouraged to thrive. Transparency and communication are the basis of building their trust in leadership and gaining their engagement. An analysis performed by Dale Carnegie to determine the link between supervisor and organization evoked feelings revealed that it’s the immediate supervisor who is the chief emotional driver in the workplace; reactions to him or her explain 84% of how employees feel about their organization. 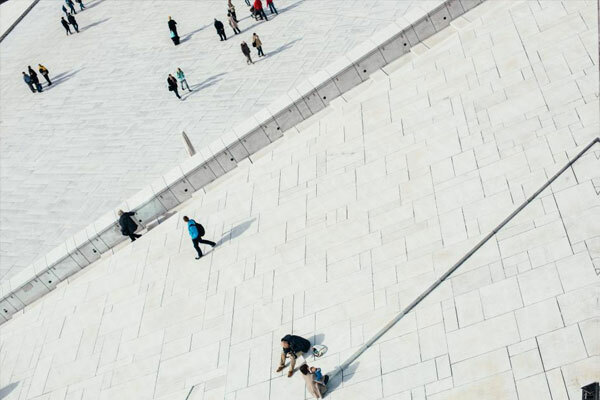 The forth report in Deloitte’s Talent 2020series, surveyed 560 employees across virtually every major industry and global region. One of the three main emerging challenges that they identified: meaningful work. According to this report, 42% of respondents who have been seeking new employment believe their job does not make good use of their skills and abilities. Furthermore, surveyed employees who are planning to switch companies cited the lack of career progress (37 percent) and challenge in their jobs (27 percent) as the two top factors influencing their career decisions. It’s impossible to be engaged at work if you feel like the work you’re doing is not engaging. Situations like these create strong feelings of unhappiness, inadequacy and frustration. Nearly one-half (43%) of employees surveyed reported that meaningfulness of the job was very important to their overall job satisfaction. Meaningfulness of one’s job can be thought of as the feeling that one’s job contributes to society as a whole, a specific community, a cause, etc. At the core of an organization, a clear mission and vision are essential because they not only provide guidance and direction but also appeal to stakeholders (e.g., clients, investors) to get their buy-in. The effectiveness of communicating this purpose to employees is equally important. Management may spend a considerable amount of time on communication through speeches and newsletters, but if the majority of employees do not identify with the message, it may be a sign that the vision is either undercommunicated or that employees are not being shown the link between their work and the organization’s overall mission. Making a difference toward a cause that is bigger than any one individual or the organization can offer a sense of fulfillment to employees. In the SHRM survey, two out of five (40%) employees felt that relationships with co-workers were very important to their job satisfaction, and 77% of employees were satisfied with these relationships. Positive relationships with co-workers can foster a sense of loyalty, camaraderie, and moral support and engagement among staff. These bonds may boost overall results and productivity as employees are more likely to want to avoid disappointing their teammates and to remain a cohesive team, especially when faced with adversity. Research shows that employees’ relationships with coworkers and supervisors will increase the psychological meaningfulness and employee engagement in the workplace. The relationship will increase the friendship and sense of belonging that enhances psychological meaningfulness. Appreciation from co-workers and supervisors will create caring and improve the safety of employees in the workplace. This study also details how psychological conditions such as meaningfulness, safety, and availability, can affect the individual engagement to roles or duties. Psychological meaningfulness, for example, is the work values associated with standard or individual idealism. Individuals who feel personally meaningful will be motivated to give 110% at work. Although these are the top three employee engagement drivers identified in recent years, there are a number of other drivers that are equally important, such as career development, compensation, benefits, work environment, or company culture. Together, they form an intricate system that motivates people to give their best, to actively help grow the company they work for and to feel engaged with what they do every day. It’s important that each company analyze their own internal engagement drivers, that stem from their unique cultures, ways of working and business goals. 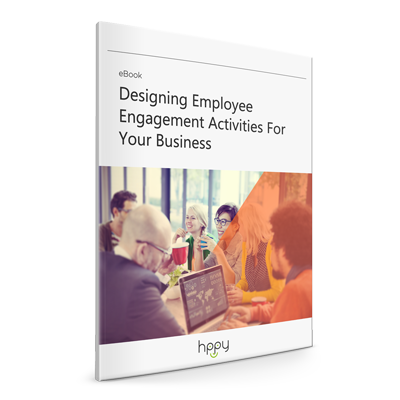 An effective employee engagement strategy can only be designed and implemented after these particular drivers have been identified and understood.